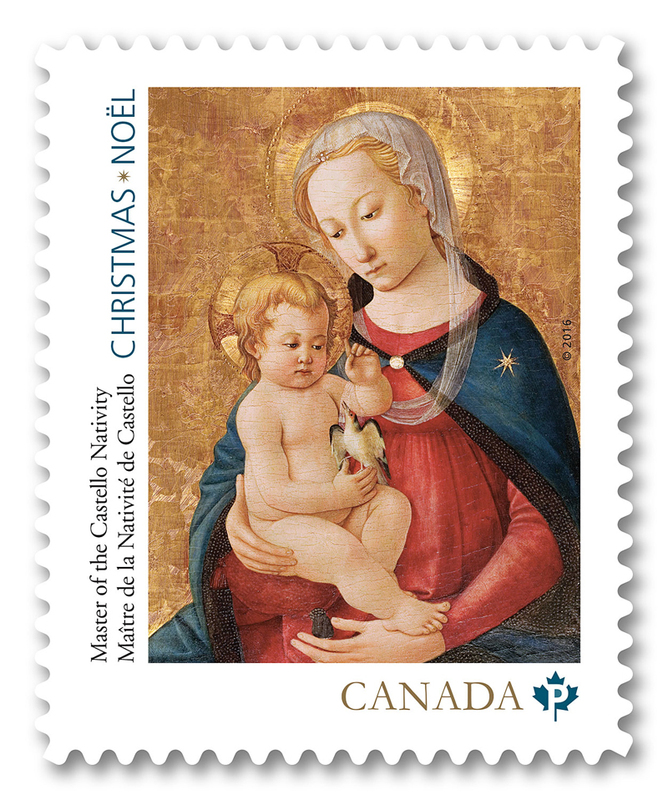 The stamp, designed by Louise Méthé, depicts a rare work by an anonymous artist known only as Master of the Castello Nativity. 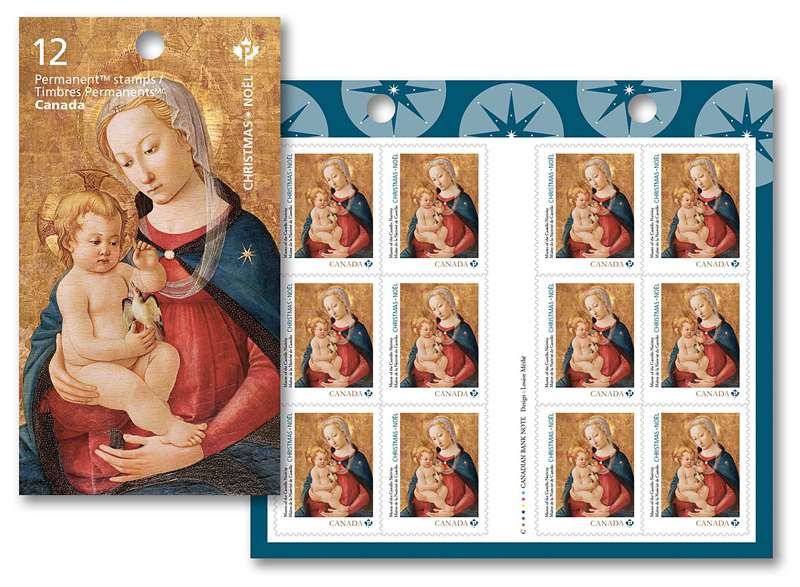 The piece was created circa 1460 and painted in tempera, which is made from coloured pigment mixed with water and a binding agent, often raw egg. The many layers required in this technique contribute to the work's vivid, intense colours. 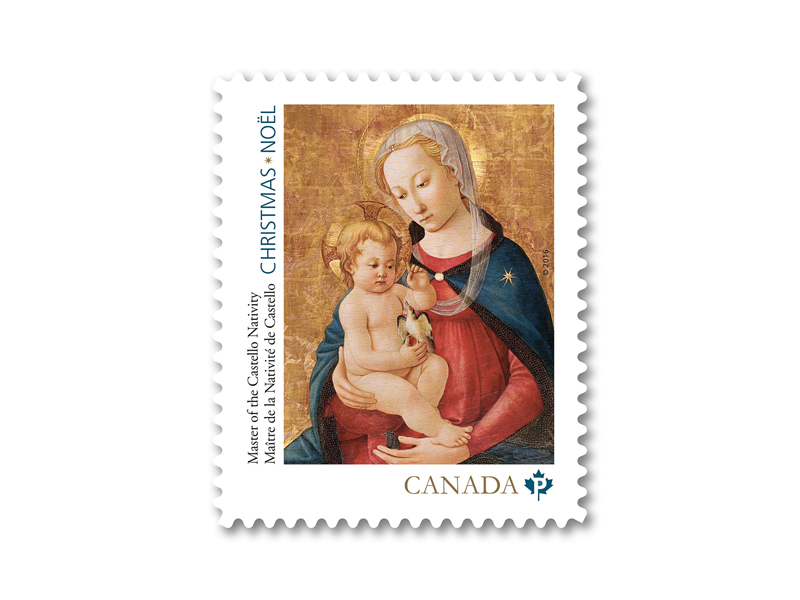 Virgin and Child is part of a generous donation to The Montreal Museum of Fine Arts from the collection of Michal and Renata Hornstein.